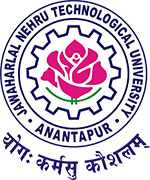 JNTUA B.Tech 2-2,3-2,4-2 Semesters (R09) Supply Exam Results May/June/July 2016, jntua 2-2 sem results, 3-2 sem supply results, 4-2 sem r09 supplementary results 2016. The results of following B.Tech (R09) Supplementary May/June/July 2016 Examinations are declared. The results are available in the University Examinations Results Portal at http://jntuaresults.azurewebsites.net.